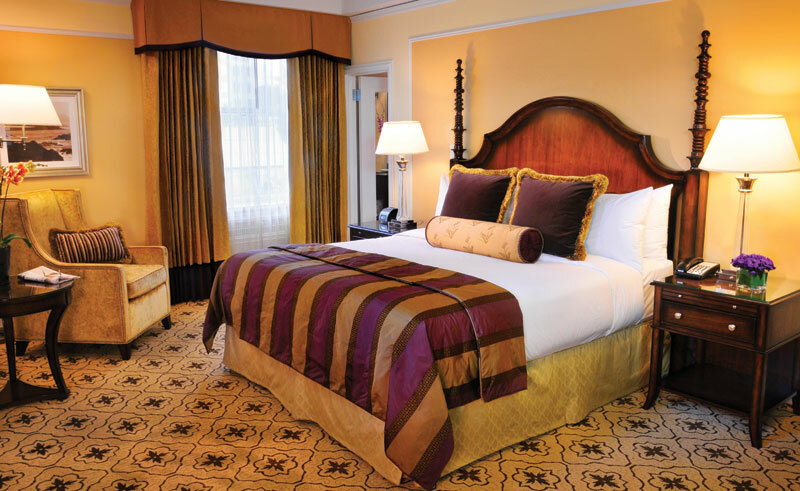 Vancouver’s castle-like, 556 room Fairmont is centrally located, providing a luxurious haven in the midst of a vibrant city. Combining the luxury and services of a modern hotel with the elegance and charm of an English castle, the hotel is centrally located. Easily reached are Vancouver’s main shopping street, Robson Street, as well as numerous dining and world-class entertainment options. The hotel itself features designer boutiques, a health club, indoor pool and Absolute Spa. There are a number of dining options including Griffins, one of the city’s most popular bistros that is renowned for fine dining and lavish décor, or the 900 West Lounge, which serves tantalizing afternoon teas and tempting evening cocktails. The hotel’s 556 guest rooms are spacious and comfortable and include wireless internet connections. Guests in the Fairmont Gold club rooms can also enjoy complimentary breakfast, afternoon tea, and canapés during cocktail hour in the private lounge.